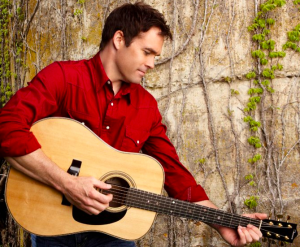 With a pair of top 25 singles on his hands James Wesley is back with another. Check out Walking Contradiction and see what you think. This is the fourth single off the Real album. This song sure is real and so is James Wesley. I think you’ll appreciate this song. Do you know a few hell raising Christians? That’s how James Wesley describes himself in his new single Walking Contradiction. The song is in your face and James isn’t holding anything back. The lyrics are talking about all the things a good country guy will stand for and also touch on the basics of life. Sometimes we have to contradict our beliefs. We stand for things like peace and happiness, but we take part in a few fist fights when necessary. We feel sad from time to time on occasion. I don’t know how you feel about the Ford and Chevy argument, but James is saying he drives a Ford even though his daddy worked for years in the Chevy factory. Just kidding. We all have our contradictions in life. We say one thing and do another. We tell people we love country music, but we also listen to rock and roll from time to time and maybe even mix in a little oldies. You just can’t stick to one thing all the time. We’re all walking contradictions just like James Wesley. This track could be a top 25 hit for James. The song is catchy. There is a really good beat to it. The song is uptempo and it’s one you could sing along with when it comes on the radio. James should have another hit to with Walking Contradiction. That would make three straight top 25 singles and that’s pretty good these days for an independent country artist. I’m wishing James the best with Walking Contradiction. I don’t love the song, but I like it.